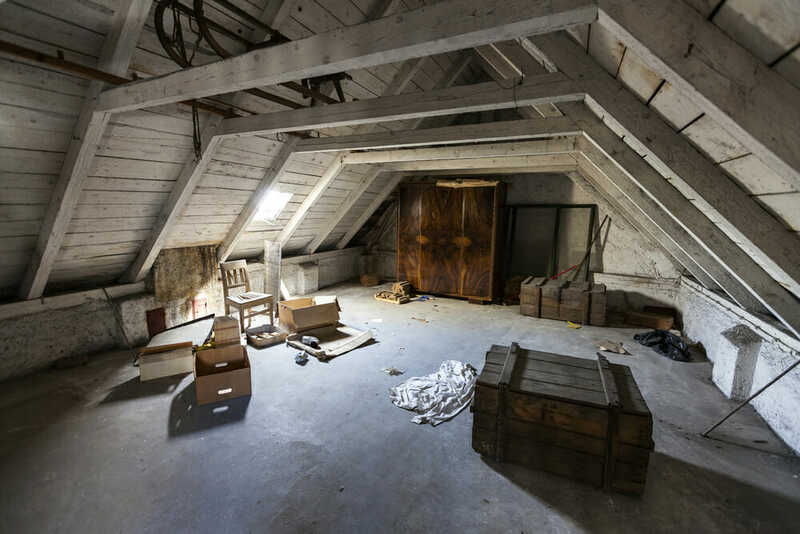 Top 5 Creepiest Things Found in the Attic and the Basement - Beneficial Roofing | VOTED BEST Roofing Company, Call Us Today & See Why! You find attics and basements in horror movies and nightmares for a reason. There’s something about these two places that creates a dark, dank, and dangerous aura that lends itself to making one’s imagination go wild. While your basement or attic can be inviting with the correct preparation, you should always get a warning about the strangest things that lurk around every corner. A ten-year-old boy in Germany found a mummy in his grandmother’s attic that could potentially involve a real-life body. Though there is some indication that his discovery is real, due to the sarcophagus, death mask, and canopic jar, a machine created the cloth-wrappings around the corpse. As a result, experts moved the body to a hospital in Hamburg, Germany for further testing. Okay, so a South Carolinian mother of five heard strange noises in the ceiling. She asked her nephew to check the attic and what he found was the mother’s former boyfriend asleep next to a vent. The guy rigged her home, stayed there for two weeks, and spied on the family during that time. In fact, the even more disturbing fact is they broke up 12 years ago. The name of where these fetuses were found lends itself to this story. In Hannibal, MO, the people found two fetuses preserved in formaldehyde down in a basement rumored to be an illegal abortion clinic in the 1940’s era. College is a mixture of fun, but weird times. The weirdest is when in September 2013, Ohio State University students found a basement locker that led to a secret room with textbooks and photographs on the wall. While “Jeremy” did leave peacefully after the students spoke to him, the students don’t exactly know if more people have the potential to come into their home. There’s no headcount of how many keys may exist to their house. Hitler’s record collection is historically significant, yet a little disturbing to find, due to the background of the former owner. Alexandra Besymenskaja’s father happened to be a Russian captain during World War. He found them after their forces captured the Reich Chancellery in Berlin and left them in the attic. After someone told Alexandra Besymenskaja to fetch a badminton racket down from the attic, she discovered these artifacts. The composers included names like Peter Tchaikovsky, Alexander Borodin, and Sergei Rachmaninoff. Under Hitler’s ethics, these individuals would not survive his tactics.